So, here we go – off to Goodison Park for the annual defeat to Everton deblah, blah... However, today’s game is laced with intrigue as sources at very West Ham believe that they have unearthed “a definite pattern of sinister and possibly extra-terrestrial happenings” that explain the “bizarre and grotesque good fortune” Everton have enjoyed during a suspiciously one-sided run of results against the unfortunate Hammers, who have not beaten the Toffees in their last dozen meetings and last won at Goodison back in 2005! Take the encounter at the Boleyn earlier this season: With a mere eight minutes of normal time to play the Hammers were 2-1 to the good and looked like they were going to finally pull one over on the Toffees – a team that they have found more than a little sticky to beat over the years. Then suddenly Satan Baines stepped up with a Devilish free kick – his second of the day, and Jussi was left helpless as it bounced off the inside of the post and in. 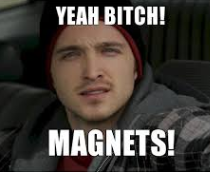 Sources close to the Boleyn ground have suggested that the pin-point accuracy could only have been possible with the use of magnet forces – just like those suggested by Jessie of Breaking bad fame. However, after four straight victories, the Hammers will be in confident mood and further heartened by news that Leon Osman is unavailable due to touring commitments with his American cousins who have recently reformed. Moreover, the likely inclusion of Aidan McGready, who has not passed the ball since 2007, should cut off supply to the Premiership’s second highest goalscoring defender – Seamus the Coalman. Moreover, the Coalman is likely to be rested after a busy period in his second job caused by the recent cold spell. 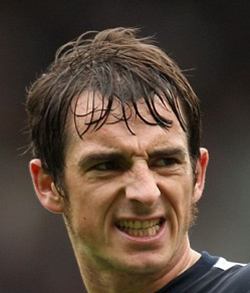 Meanwhile, continued rumours of a cloning conspiracy that have beset the Premiership were somewhat assuaged when a picture of Leighton Baines and Joey Barton in close proximity, although the explanation for the surprisingly effeminate choice of boot colour worn by both ‘chaps’ was somewhat less convincing and theorists remain ‘almost certain’ that they are, in fact, both failed clones of Gareth Bale. Also, the extremely suspicious disappearance of Toffee starlet Jack Roswell has raised eyebrows and it’s not surprising that folk have noted the similarity between Jack Roswell’s surname and the site of the first confirmed alien landing in 1947. Understandably, these observations have prompted sceptical types to speculate that the Premiership is in fact part of an alien conspiracy and that FIFA is controlled by 12 foot tall lizard-aliens who have been chemically modified to look like humans and ex-footballers. Either way, today’s clash is most definitely shrouded in mystery and intrigue!!! I think Jack Roswell has indeed "gone home" to see his cousin E.T. Nice blog Dave. We're having a bit of a wobble at the moment so you never know!!!!! You are quite possibly the dumbest person, in the entire universe. I'm hoping the cheer this caused will keep me going through the game today after we get beaten again! and Ludo's unfair sending off that caused Dicksie to go in goals! Roswell could mysteriously get teleported to Upton Park. In all honesty we created zilcho.